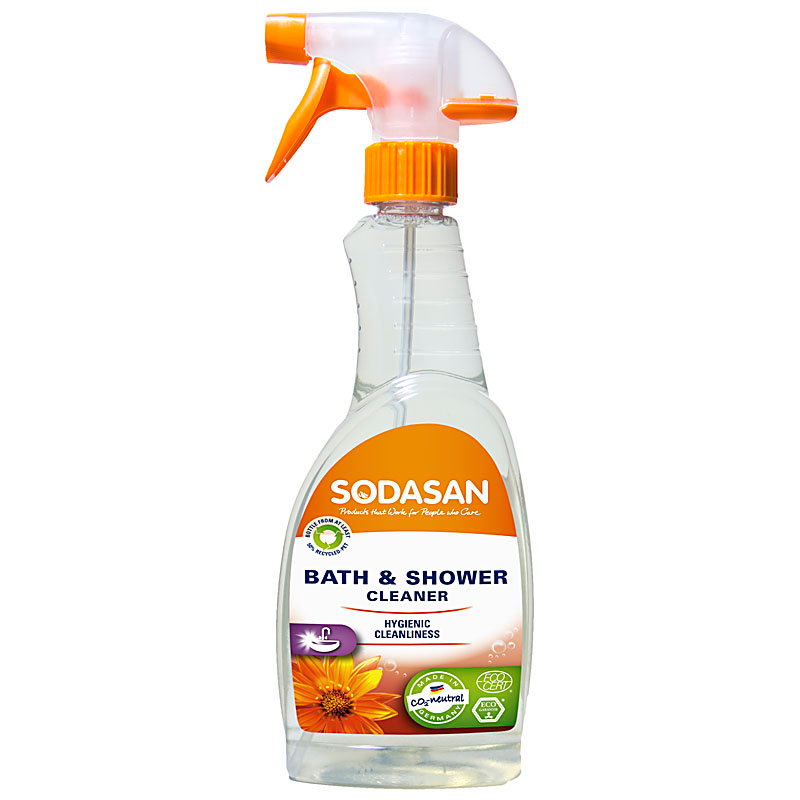 Use Sodasan's Bath and Shower cleaner for hygienic natural cleanliness. Suitable for tiles, bath tubs, (Acryl & Enamel), shower cubicles and taps or faucets. Effectively removes dirt, limescale and soap residue from surfaces. With essential oils for a natural fresh scent. Certified by ECOCERT and vegan. To use; Turn the spray nozzle to the ON position, spray onto the surface and allow to soak for approx 1 minute then wipe with a damp cloth and rinse. For more stubborn stains repeat the process and leave for a few more minutes before removing. Ingredients; Water, alcohol (ethanol), sugar surfactants, organic vinegar, citric acid, natural perfume oil . Allergens from essential oils; Citral, Geraniol, Linalool, Limonene. 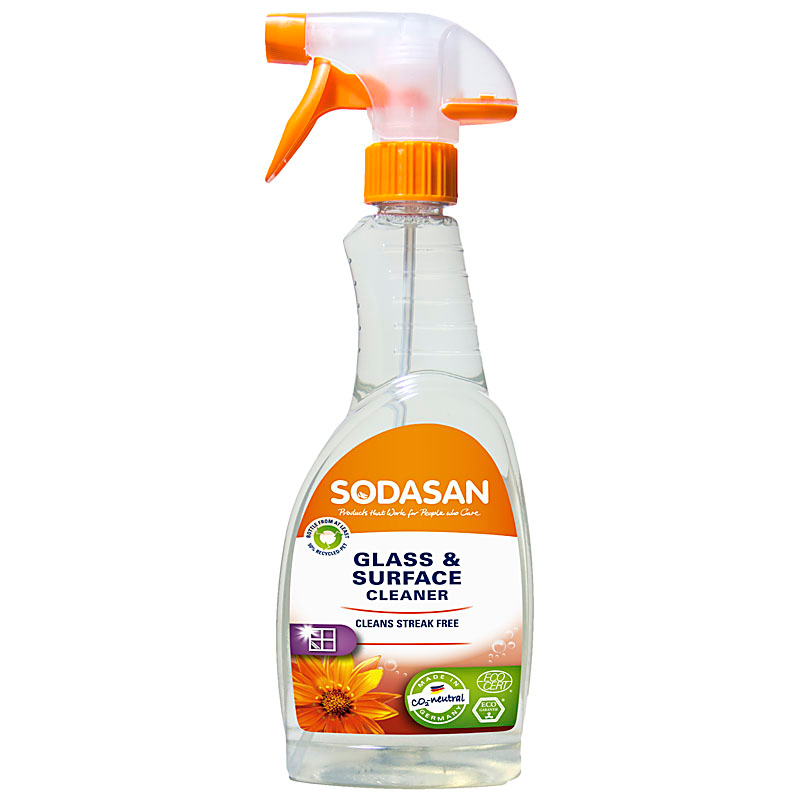 Please note that Sodasan products can only be sent to within the UK mainland. Packaging: Recyclable or reusable pump bottle. Please check Local Recycling for spray pump.